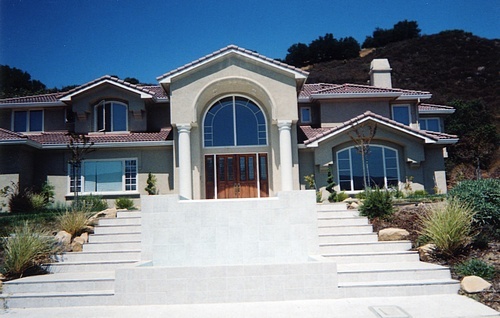 White marble waterfall as entry way - San Jose. 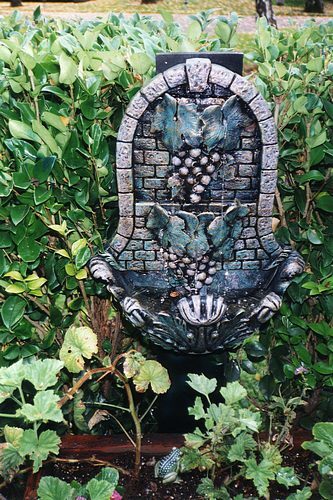 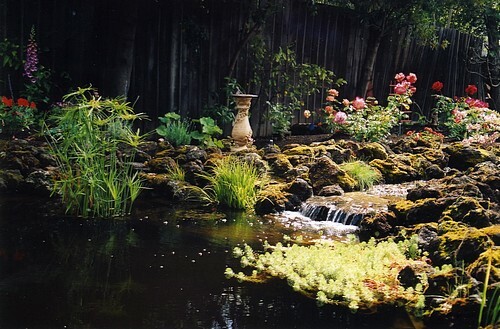 A wall fountain in Portola Valley. 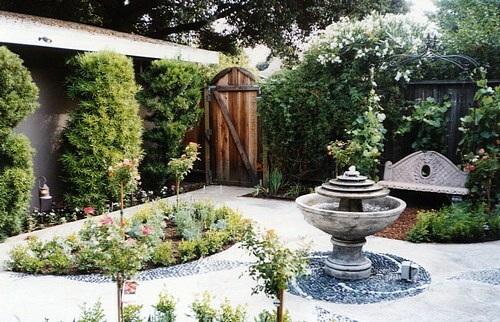 A fountain in a courtyard garden in Palo Alto.